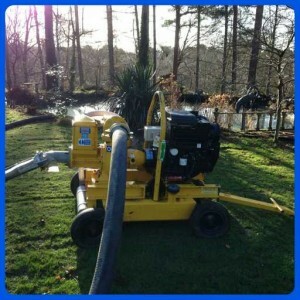 Silt will be found in just about any pond, lake or river in the land. 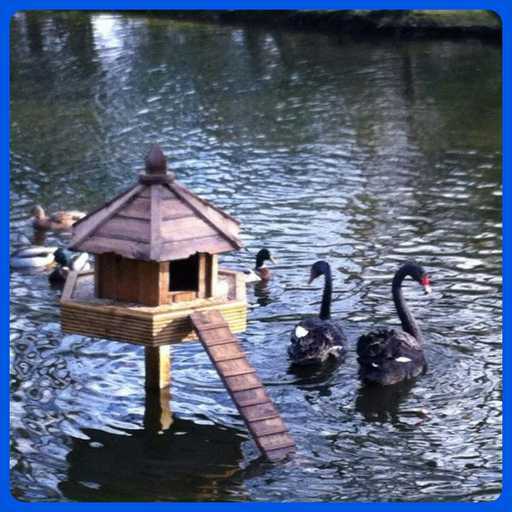 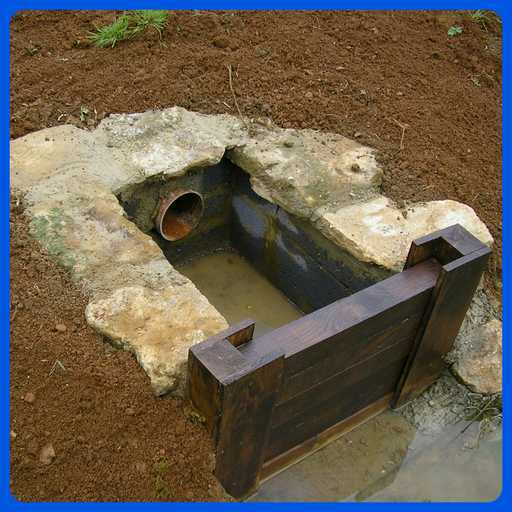 It can be any combination of sand, clay, soil, leaf material, fish/wildfowl waste, and any other organic material. 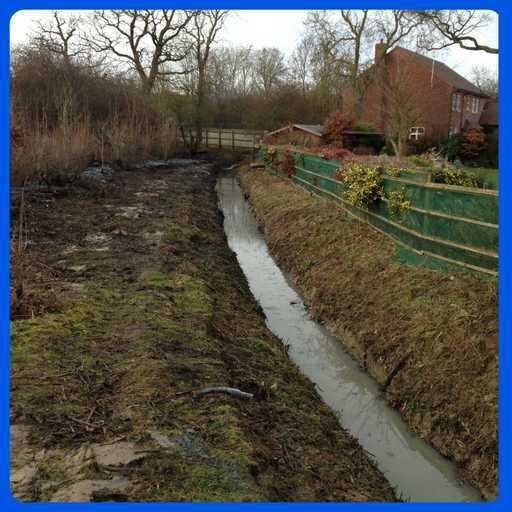 Silt will build up in watercourses overtime, and if left unmanaged will eventually cause a watercourse to dry up as plants, shrubs and trees will become established within the footprint once silt levels reach the surface. 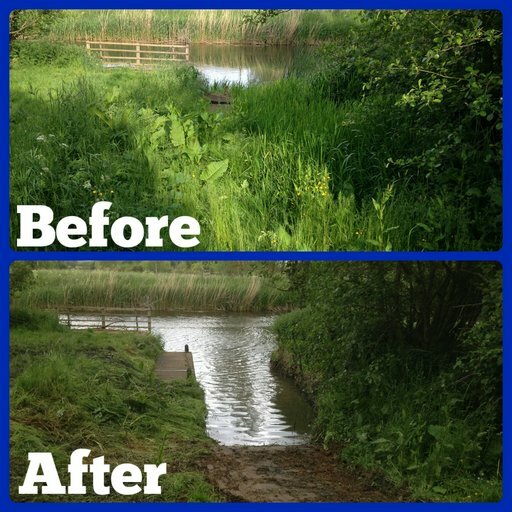 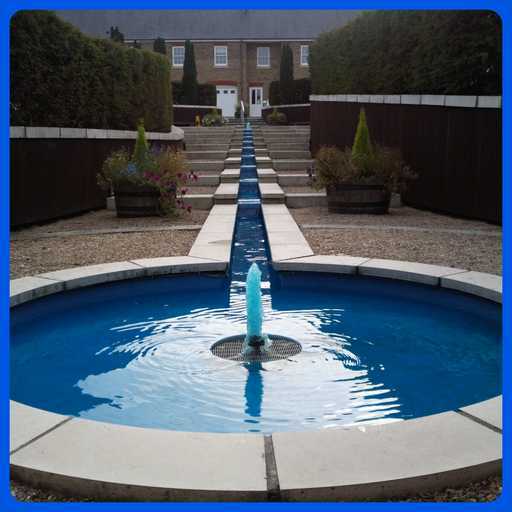 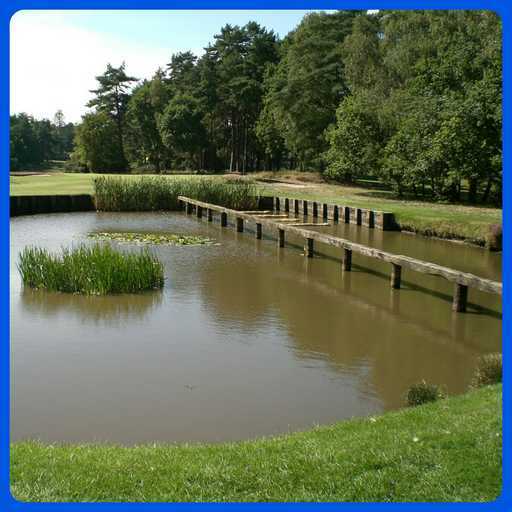 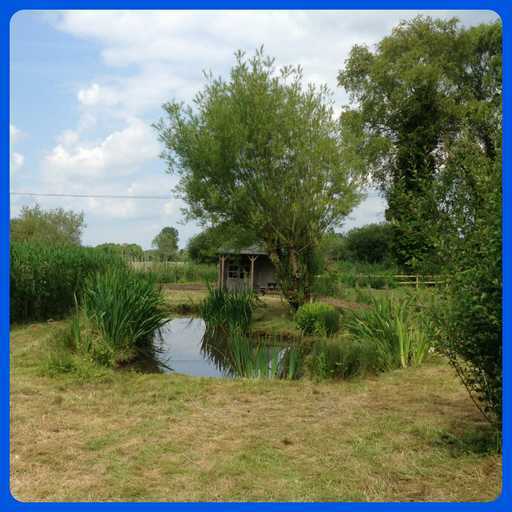 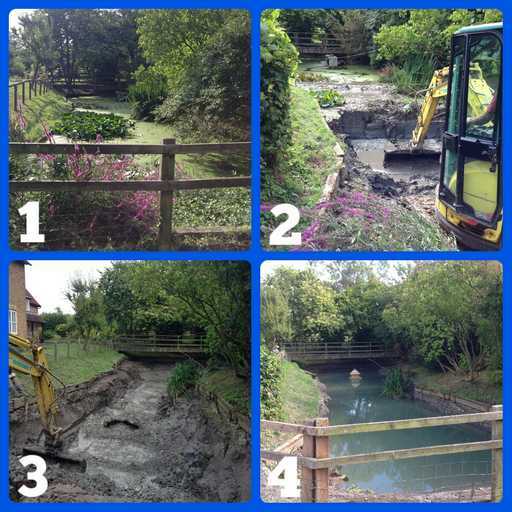 Clearwater AC (Aquatic chalk) applications will prolong the life of a watercourse if carried out annually but new clients will contact us because they have a watercourse that has been left unmanaged for years and requires de-silting. 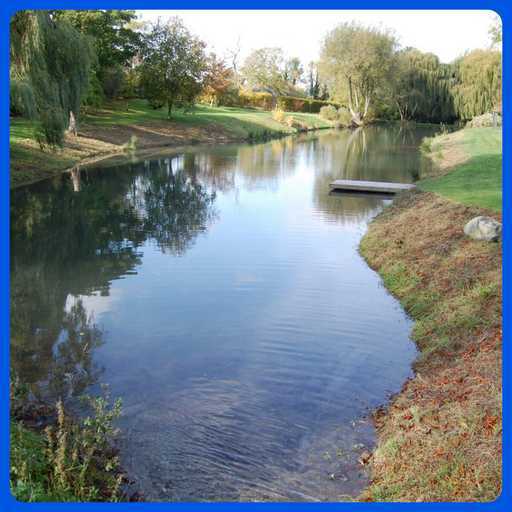 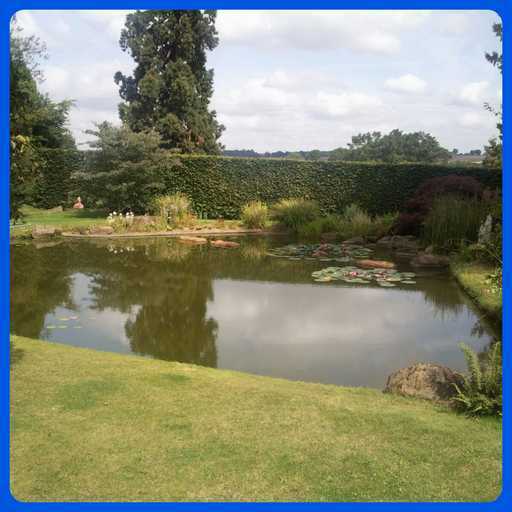 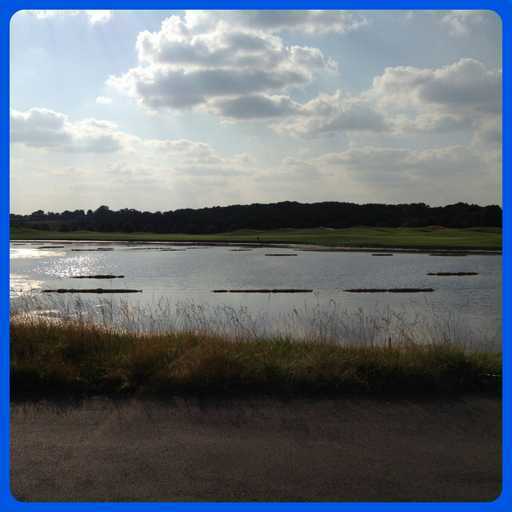 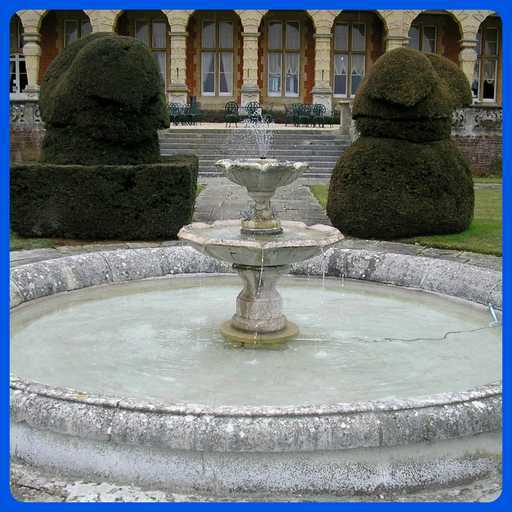 Silt should be removed from a watercourse periodically but as all ponds and lakes are different and there are so many variables to consider, the implementation requires careful planning. 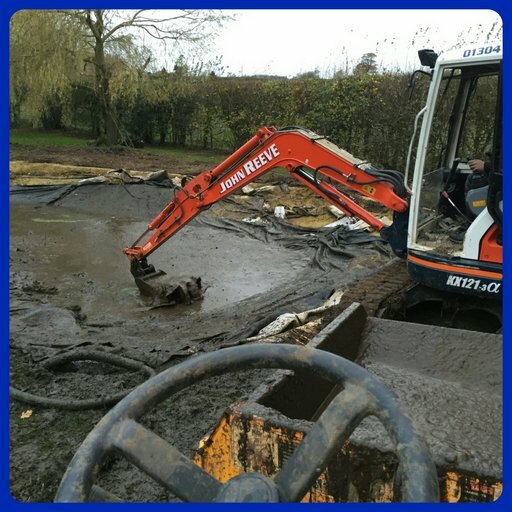 We use a variety of techniques to transport silt from a watercourse to a desired area including the use of surface mounted pumps or excavators and dumpers. 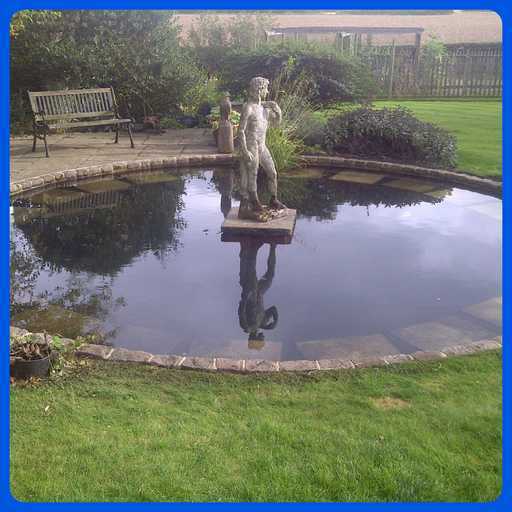 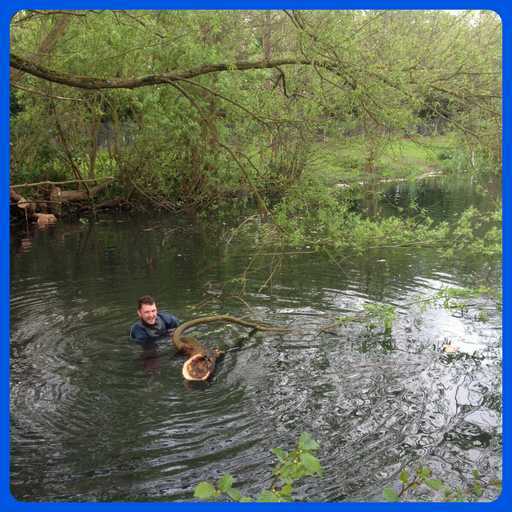 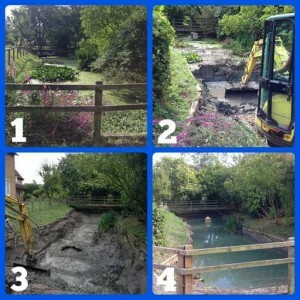 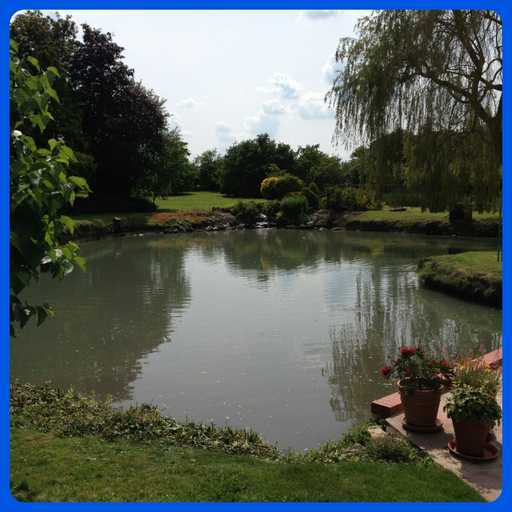 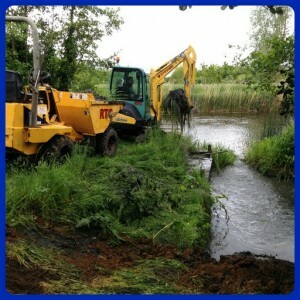 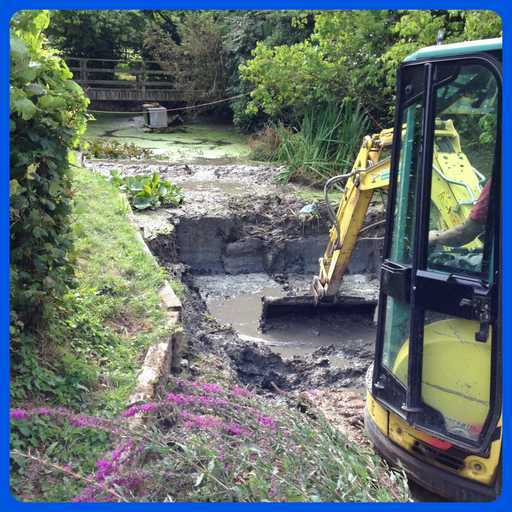 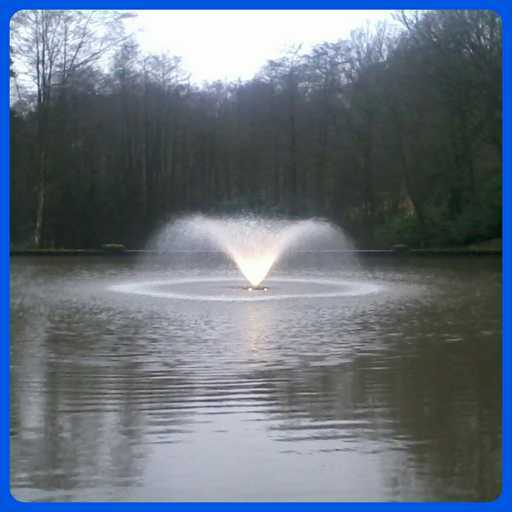 We can also remove silt from smaller ponds manually, if there is no access for machinery. 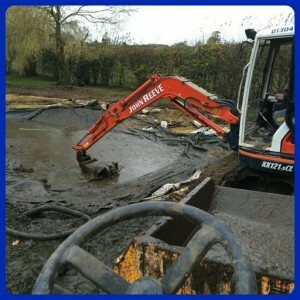 We pride ourselves on leaving a site as we find it (or better) so any mess created by the use of machinery is made good once the job is complete. 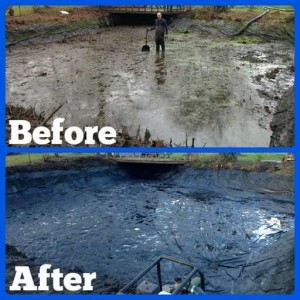 Silt is classed as waste by the Environment Agency, and is therefore subject to waste regulations. 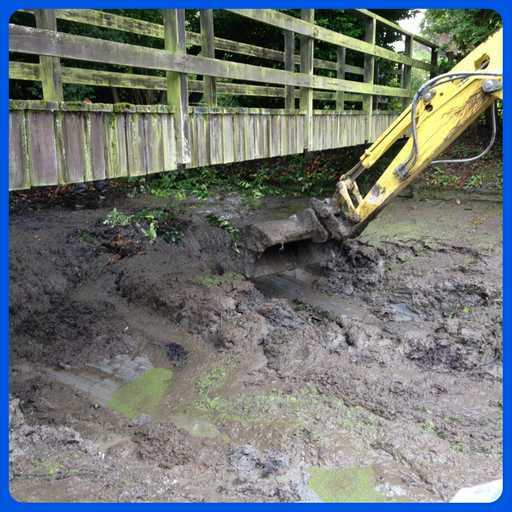 In most cases we have the silt tested if it is to be spread in a neighbouring field for example, or if it is taken off site. 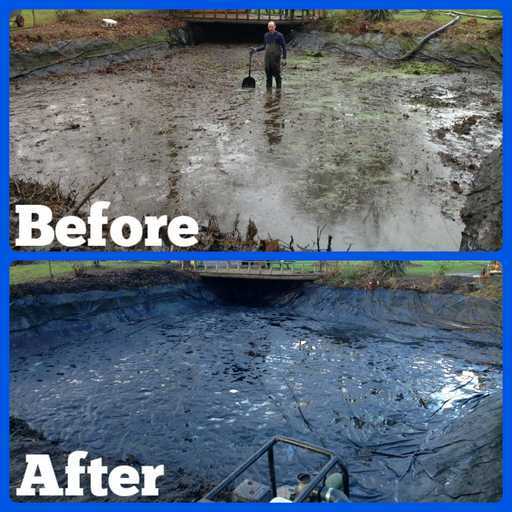 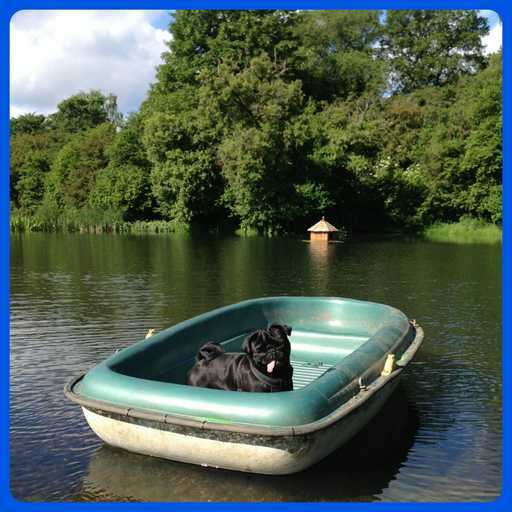 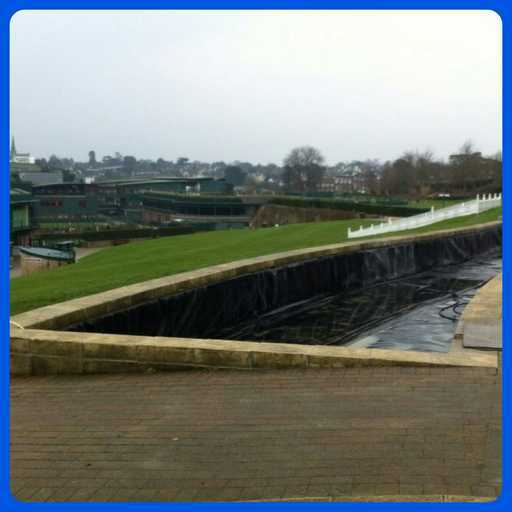 The costs involved in disposing of silt offsite are normally very high so most of private clients opt to spread it on site or keep it within the footprint of the watercourse in the form of an island or a new lake edge.